As a newbie blogger I get a lot of inspiration from more experienced (and to be honest, better) beauty bloggers on what to post content wise. One of the many covered areas is going through a skincare routine. Even though it's heavily done I still find it interesting to see other's skincare routines as everyone has completely different needs for their skin and very few people have the same routine, so I decided to give you lovely people mine. First, to give you an introduction to my skin: I'm actually fairly lucky in the skin department, I've had the odd breakout and dry patches but all in all my skin's pretty well behaved. My main problem is that while my cheeks can get dry, my T-zone is a bit oily (whose isn't?). I don't really vary my skin routine product wise from day or night as my skin doesn't really have a need for it and my normal moisturiser and cleanser is fine for both day and night. 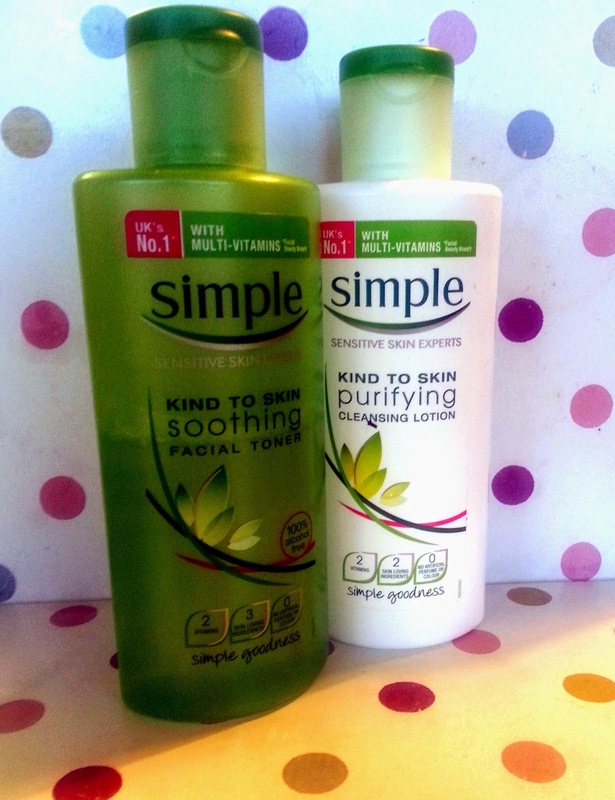 To cleanse I use Simple Kind to Skin Purifying Cleansing Lotion (and follow up with the Soothing Facial Toner). These are the only Simple product's I've really got on with, my skin can go red for product's with fragrances and whatnot so I tried Simple for a LONG time but found they really didn't benefit my skin much, especially their washes and moisturisers. But these I really like, the toner has no alcohol in so doesn't dry the skin out but still refreshes the skin well and helps my moisturiser sink in. The cleansing lotion isn't the strongest cleanser but it's really lightweight and my skin's always left clear after using it. 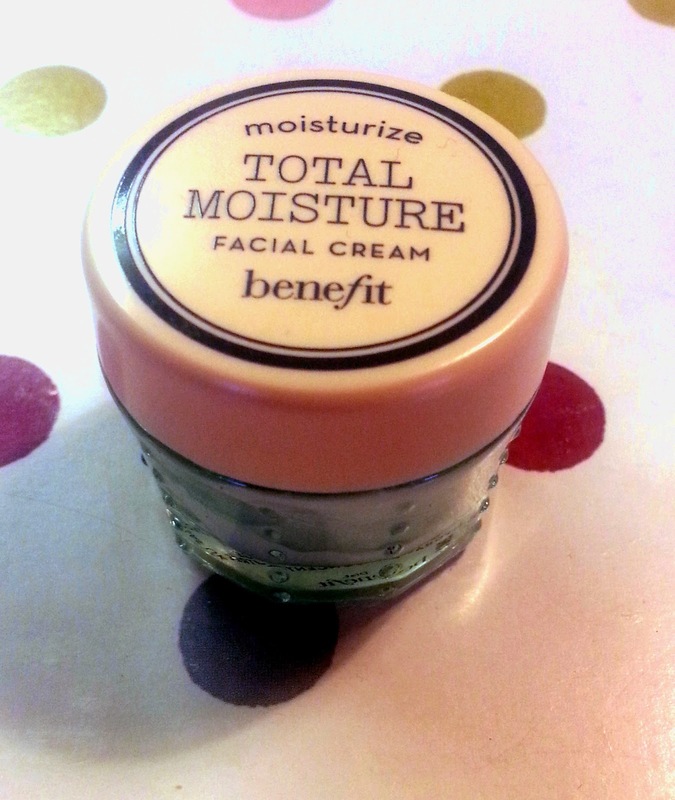 I follow this up with Benefit's Total Moisture cream. I've hopped around moisturisers a lot but I've settled on this one for now, it's so lightweight and doesn't add any grease to my face but still stops dry patches from cropping up. It also goes a long way and I find that it lasts me ages as I never use that much. Once or twice a week I use Dirty Works Rose and Glow Moisture Mask. 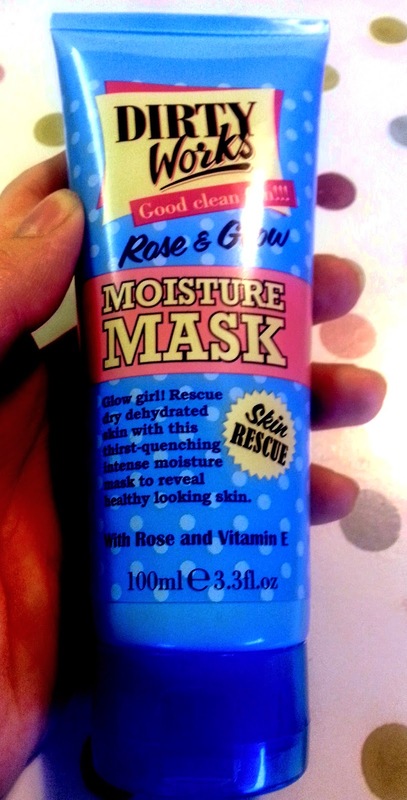 Again this is great for boosting moisture in the skin without making my face look like an oil painting. Plus it smells absolutely amazing (loving rose smells at the minute). I've recently discovered Dirty Works and I'm debating doing a review on their range as they've kind of been dubbed as a cheaper Soap & Glory. 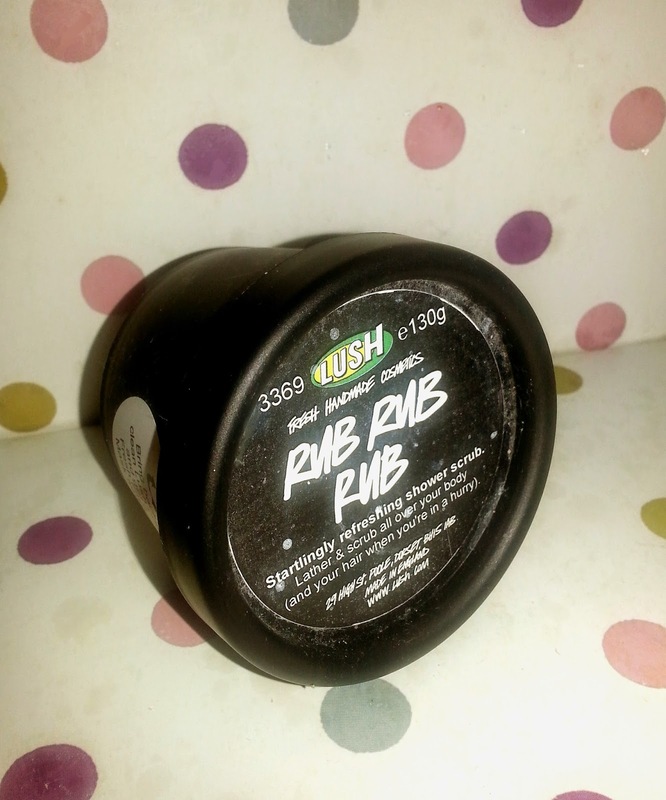 One or twice a week I also exfoliate using Lush's Rub Rub Rub. It's fairly strong as my face gets a lot of hard to push dead skin bits and I tend to use the mask afterwards as it does irritate the skin as it's mainly a body exfoliater, however if I do it at night by morning my skin has calmed down and is clear and dead skin free so the end effect is worth it in my view. So this is my skin routine, I'd love to hear what you guys think of it or any suggestions people have! Although I love all these products please bear in mind that skin varies so much and what your skin needs is probably very different to what mine needs, and with skin it's always best to try things out for yourself!